Amazingly well made laser with five attachments/beam splitters, all of which are unique for light shows. Price is a little high but well worth it. The beam is fully visible in daylight and so strong at night that it lights the area you use it in (provides ambient glow around the beam). This is a very well made product, by people who obviously know what they are doing. 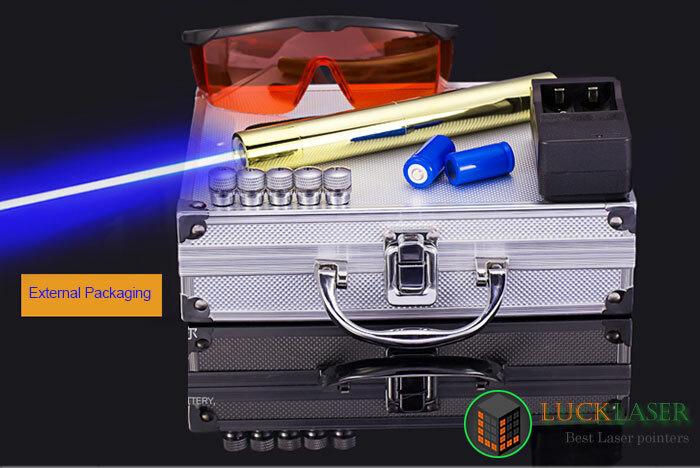 The laser is strong enough to light matches, cigarettes, etc... including skin and eyes. Please be careful and do not give it to unsupervised kids. Do not point at sky when there are aircraft present. This is very dangerous to the pilots and safety of passengers. If you are in the states, it is very illegal and you will be arrested. The FAA does not mess around with these things and the prescedent has already been set by stupid teenagers who have gone to jail after blinding pilots. Be responsible and enjoy the product safely please. Love this company. I will be buying from them again and again.